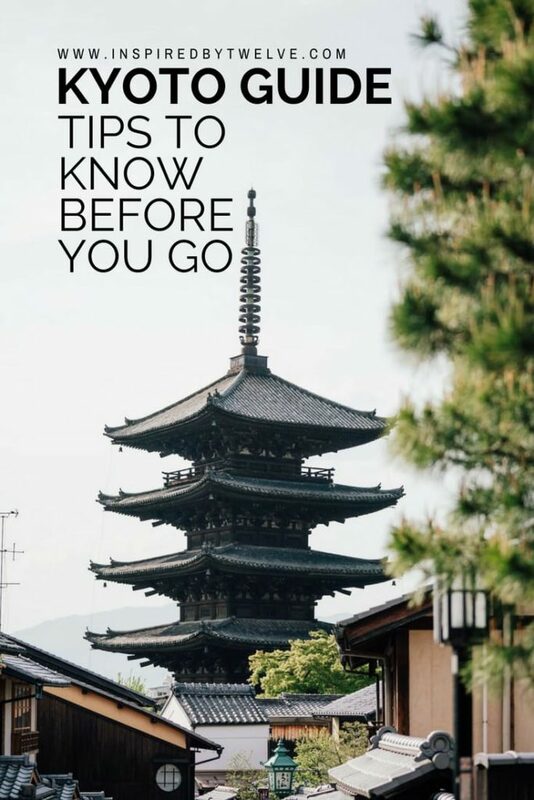 Read below for our best travel tips to know before you visit Kyoto. 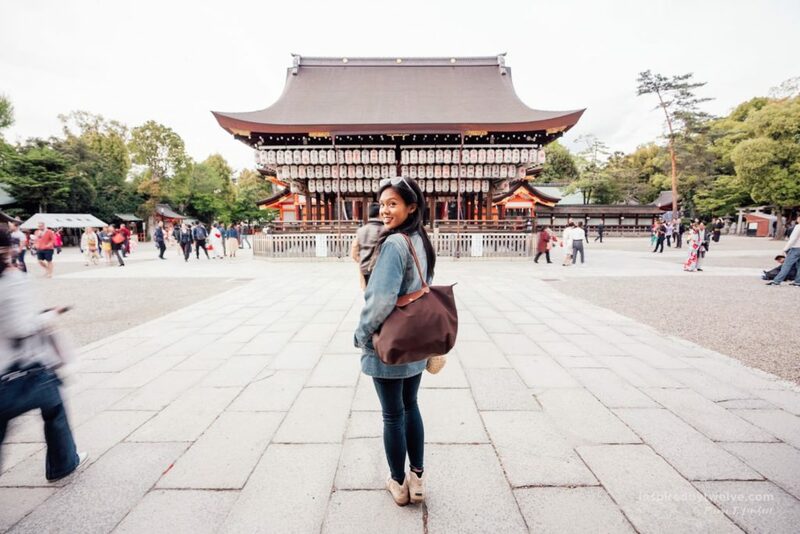 If this is your first time in Japan, Kyoto is most likely on your list of places to visit. 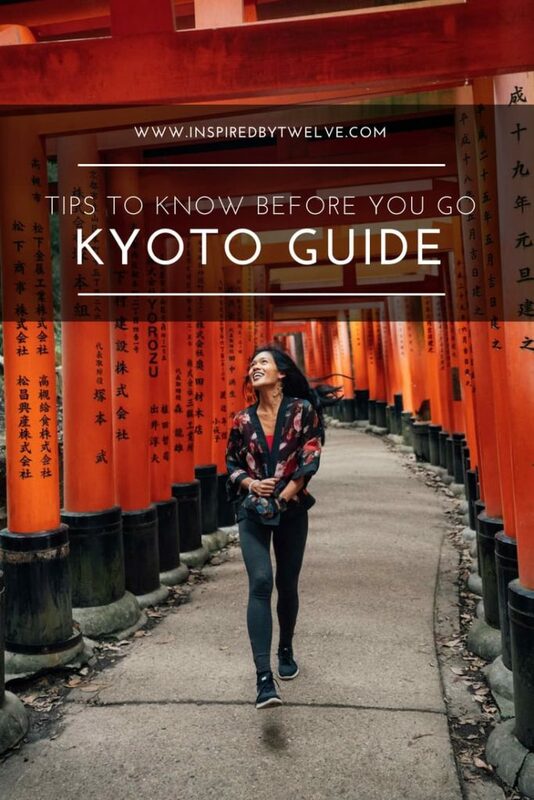 With so much to see, do, and eat, we want to share with you our Kyoto Travel Guide and best tips for visiting Kyoto so that you make the most of your time while there. As a part of our 3-week itinerary in Japan, Pierre and I took the train from Osaka to Kyoto to spend 48 hours exploring the city. 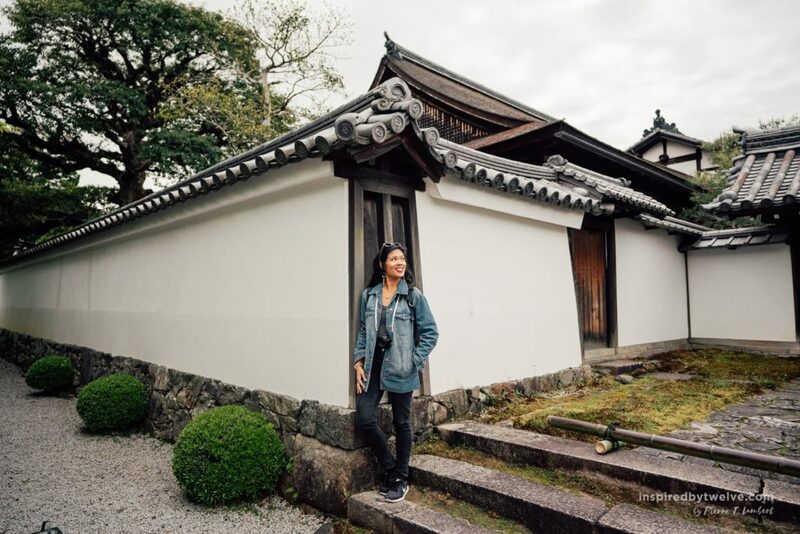 We covered some of Japan’s most iconic places, but also experienced one of the most fun activities we did in Japan! When you first arrive in Kyoto, you may become overwhelmed by the amount of possible things to do. There are endless neighborhoods, temples and restaurants for you to explore but how do you choose? 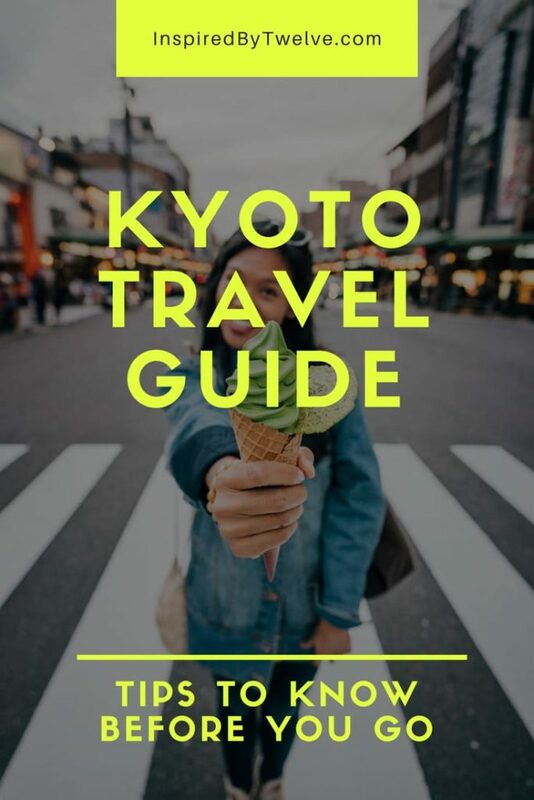 A great way to get a quick overview of the city is by taking a Free Walking Tour in Kyoto. In less than 2 hours, you will become familiarized with one of the most iconic areas in the city. Our guide took us through the historical Gion district. 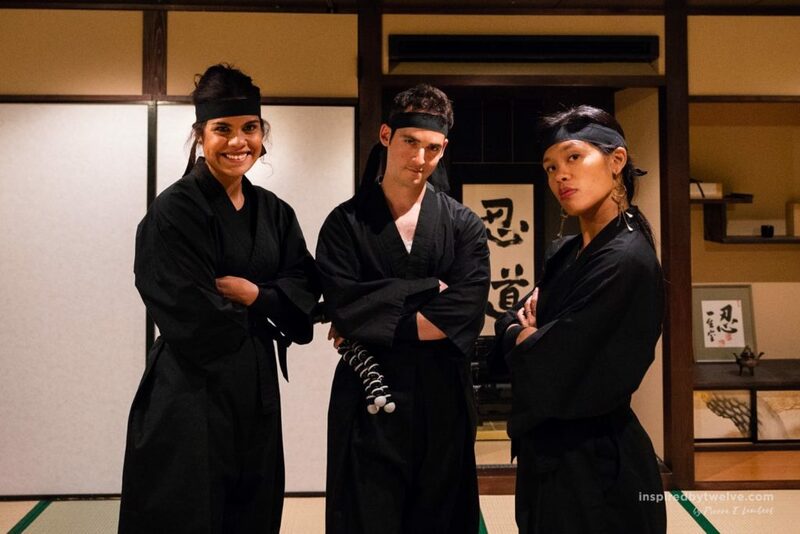 Even if you aren’t into tours like Pierre, you may learn a thing or two about Kyoto’s culture and history. For example, we were quite surprised to learn that there are only 300 Geisha’s in modern day Japan. We also received some excellent recommendations from our tour guide about where to get the best local eats! 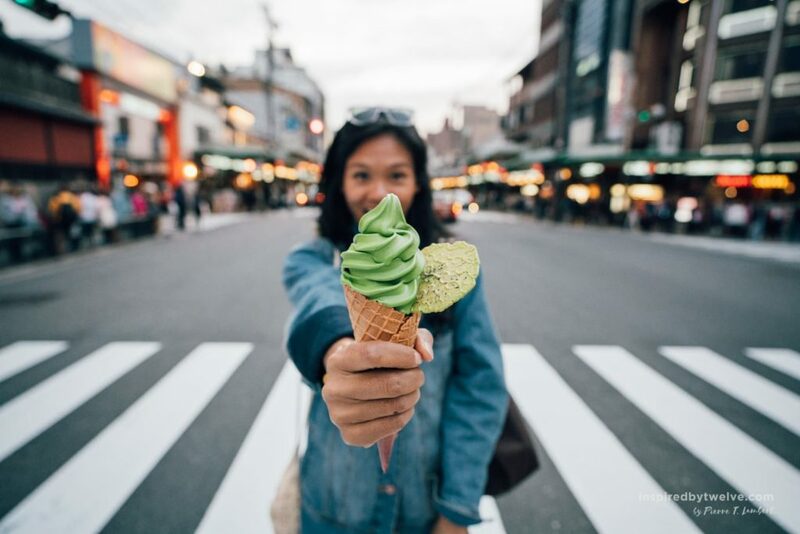 Apparently she has tasted almost all of the matcha ice creams in Kyoto and found the best one. This ice cream was so good that we ended up going back 3 times during our 48 hour stay! 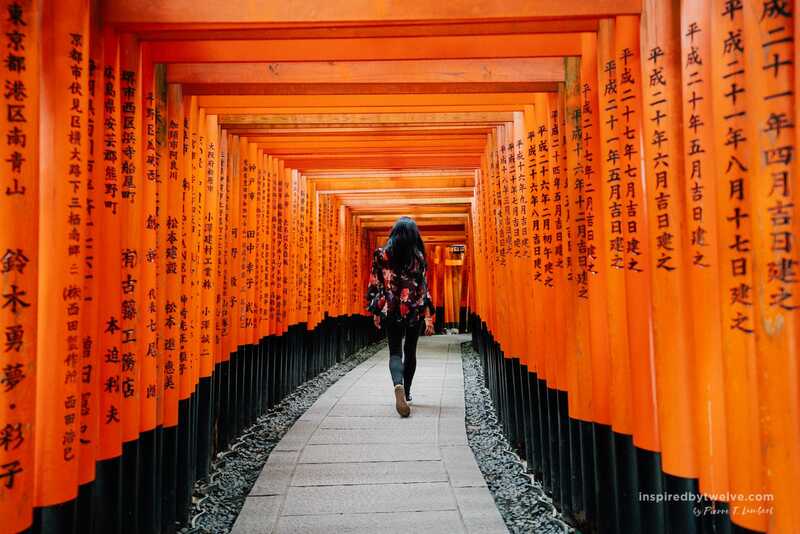 Not only is Fushimi Inari Shrine one of the most popular places to visit while in Kyoto, it also happens to be the #1 most visited spot in all of Japan! 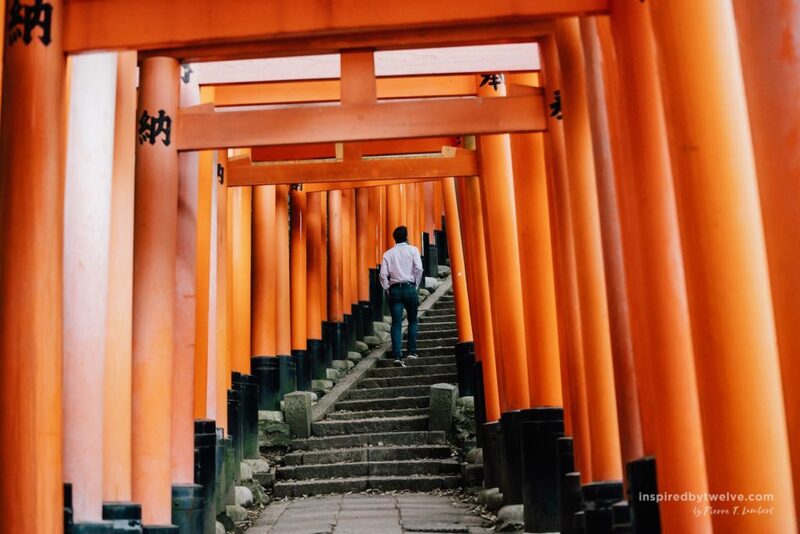 That being said, you can imagine the crowds of people that head to Fushimi Inari Shrine on a daily basis to see its infamous orange Torii gates. Our advice to you is to head on over to the shrine as early as possible. We woke up at 6am to be there at 7am. Even at this early hour, we ran into many photographers and instagrammers (of course) attempting to grab the perfect shot. The further you go up the trail, the more likely you will be able to capture a shot without anyone else in it. I wasn’t aware of this before coming, but there are actually over 10,000 Torii gates that make up Fushimi Inari Shrine. If you’re looking to go up the entire trail, plan for about 1.5 – 2 hrs. Kyoto has over 1600 temples. It’s natural that you encounter a bit of decision paralysis when trying to figure out which temples to visit. 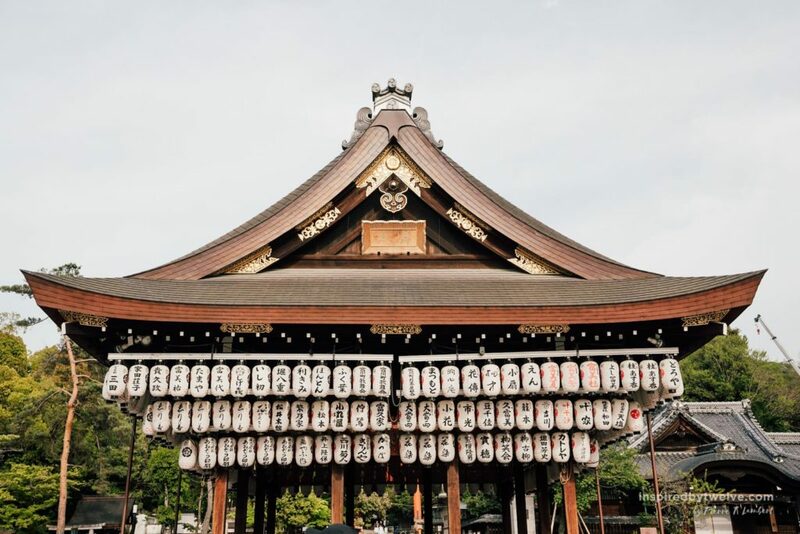 If you only have a few hours to visit the city, our advice is to combine a temple visit with a walk through the historical Gion district. Maruyama Park is literally next door to Gion and houses a variety of temples to give you a quick introduction to the city. We found that the park had plenty of space to roam around and didn’t feel as crowded as other parts of the city. Make sure to stop by Yasaka Shrine on your way out of the park. Besides that, our advice would be to simple pick the temple that speaks to you the most. I really wanted to catch a glimpse of the beautiful Golden Temple during our trip but the time just didn’t permit it. Instead, we ended up going to Byodoin Hoodo which was much closer to our guesthouse. In the end, we were not disappointed. The next tip was a bit of a surprise to us. It turned out to be one of the most enjoyable experiences we had while in Kyoto. While most people opt for getting dressed up like a geisha, Pierre didn’t really fancy the dress up session. He did however jump at the idea of a ninja lesson at the Ninja Dojo and Store. We went in with no expectations whatsoever but his was honestly one of the most enjoyable things we did while in Kyoto. We also found out that I may have been a Ninja in a previous life. Yes, I got some skills! 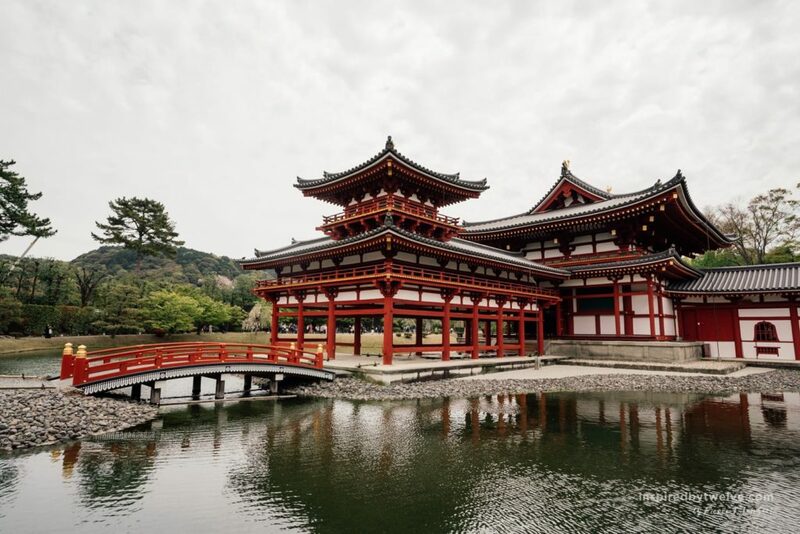 Did you know that Kyoto is home to Uji, the leading producer for Matcha tea. 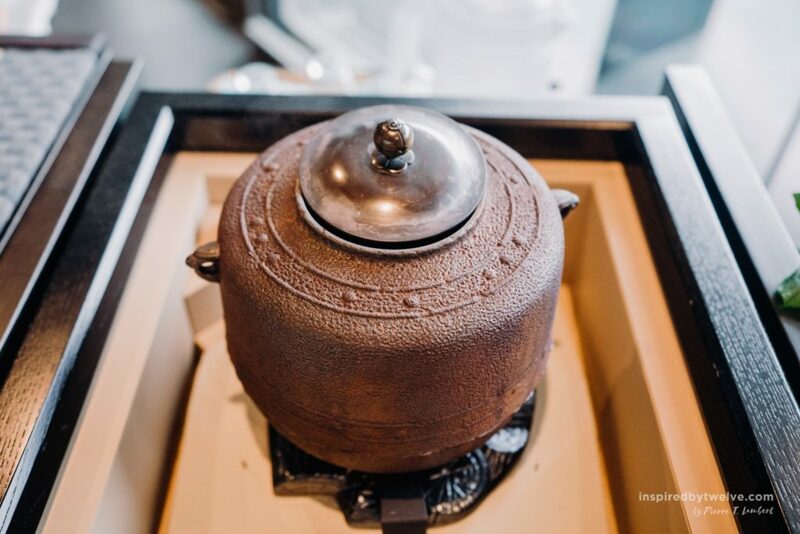 As such, one of the most typical things to do while visiting Kyoto is to taste Match Tea in its many forms! Now there are a variety of places where you can do this. The first and most expensive is a traditional tea house where you can even get a geisha to serve you. Our budget didn’t allow for this. Instead we went to a Matcha café where our Matcha was served with delicious plate of delicious Kuzumochi Mochi. We also tried the Uji Matcha while at Byodoin Hoodo Temple. 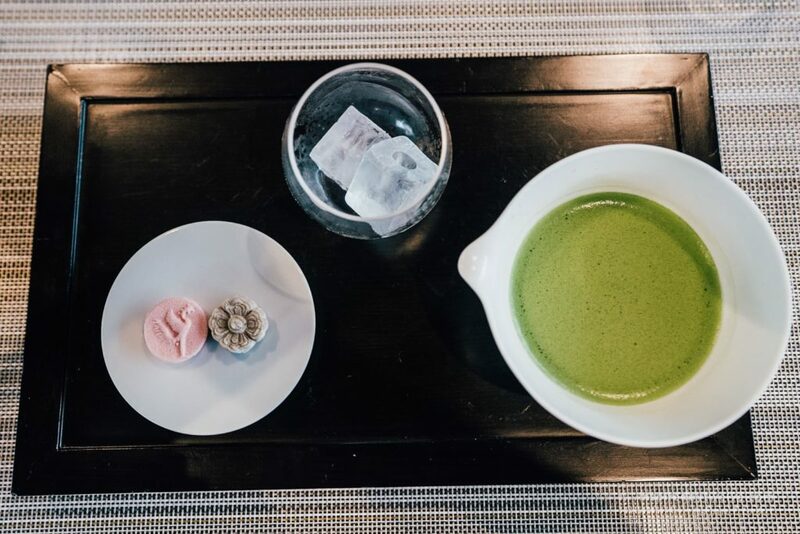 Uji happens to be known for its premium and ceremonial quality, and it was truly unlike any matcha we’ve ever tasted. We’ll let you be the judge. If you’re not really into tea but want to get a taste of Matcha nonetheless, than your best bet a matcha ice cream cone. After a long day out exploring, we recommend heading over to a sake bar with friends. We found a great place with a huge selection of sakes to choose from all reasonably price at 500 yen (~5.00 US) for a glass of overflowing (literally) sake. Our favourite sake was one that was mixed with yogurt (a must try!) You can find our sake bar here. If you like this video feel free to like it, share it, comment below. And if you really really like it, make sure to subscribe for our adventures around the world. Hope to see you again!